We are excited to announce that we will be running a Paleo Bundle Giveaway starting June 1st, 2015! It’s just in time to get you books and Paleo products to get you in the best health (and shape!) of your life this summer. So what’s in the Bundle? 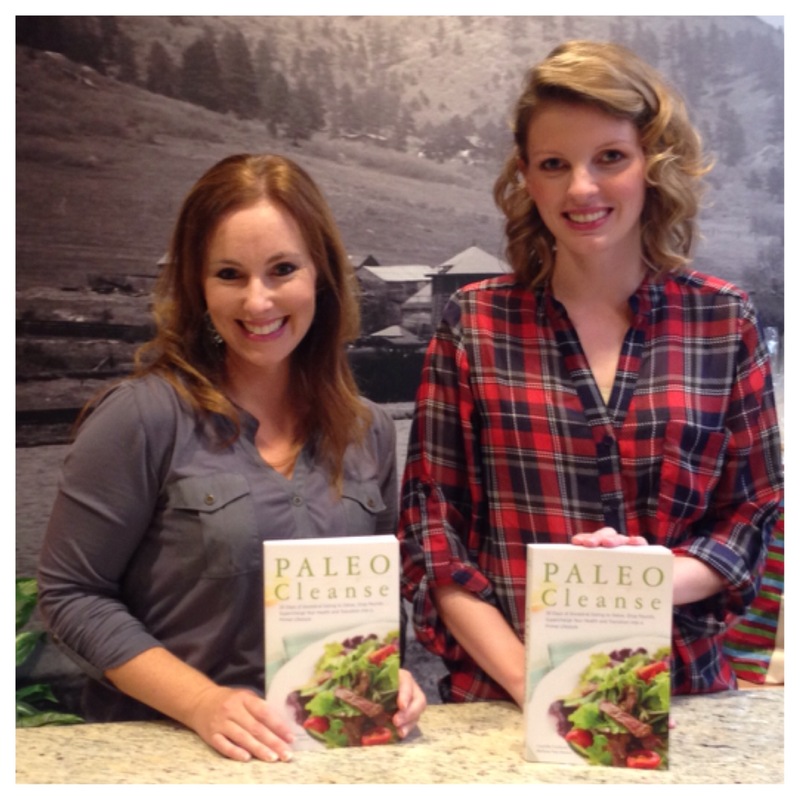 An autographed copy of our bestselling book, PALEO Cleanse! 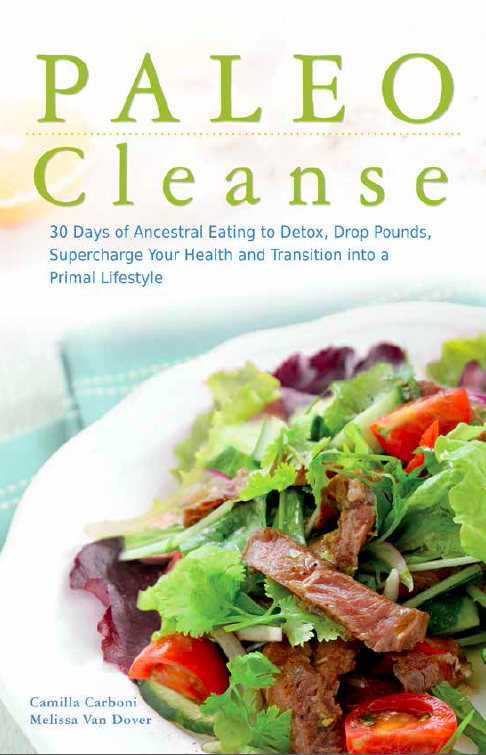 30 Days of Ancestral Eating to Detox, Drop Pounds, Supercharge Your Health and Transition into a Primal Lifestyle. Learn more about PALEO Cleanse here. The All-Natural, Nutritious Plan for a Healthy Pregnancy. Learn more about it here and visit Tarah’s site, What I Gather, by clicking here. Available only on the Apple App Store and on Google Play, Paleo Living is a magazine dedicated to helping you live a life you love by taking control of your body and your health. 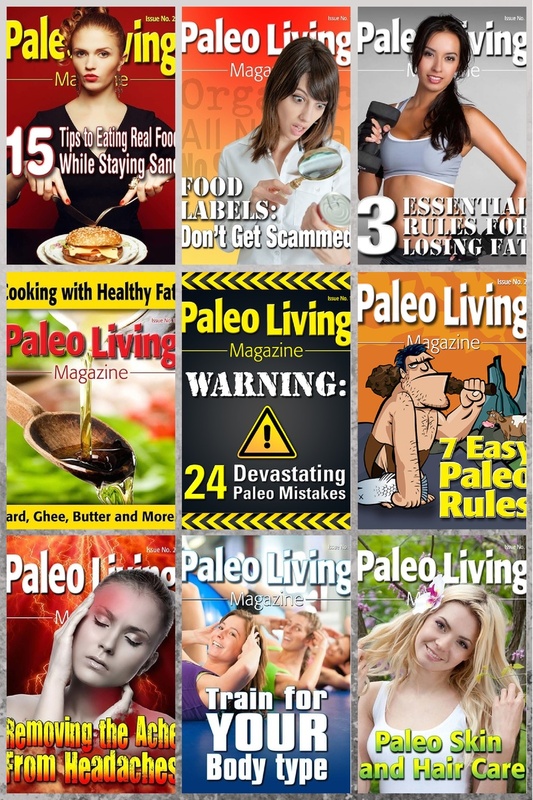 Learn more about Paleo Living Magazine here. 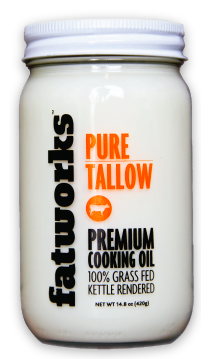 A jar of Fatworks Tallow! The Saturated Superheros, the Lords of Lard, the Royals of Oils: They are Fatworks! Makers of the highest quality and most delicious pasture raised traditional cooking oils on the planet, and they WILL change your Fattitude! Learn more about Fatworks here. EPIC Bar, the original meat, fruit, and nut bar, is a savory high protein snack designed to inspire your most EPIC adventures. Consistent with the simple yet powerful diets consumed by our ancestors, EPIC Bars are packed with the highest quality animal meat available. Each bar is rich in protein, low in sugar, gluten free, grain free, and absent of both soy and dairy. Learn more about Epic here. 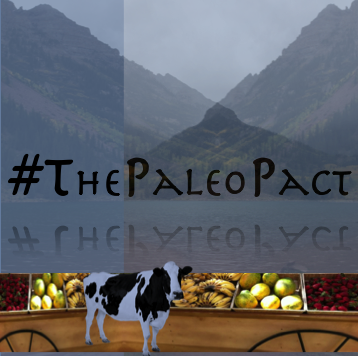 Post your favorite “Paleo inspiration” to the Wall of our Facebook Page: http://www.Facebook.com/thepaleopact between 12pm MST on June 1st and 12pm MST on June 15th, 2015 and then, on June 15th MST, 2015 the post with the most “Likes” wins! 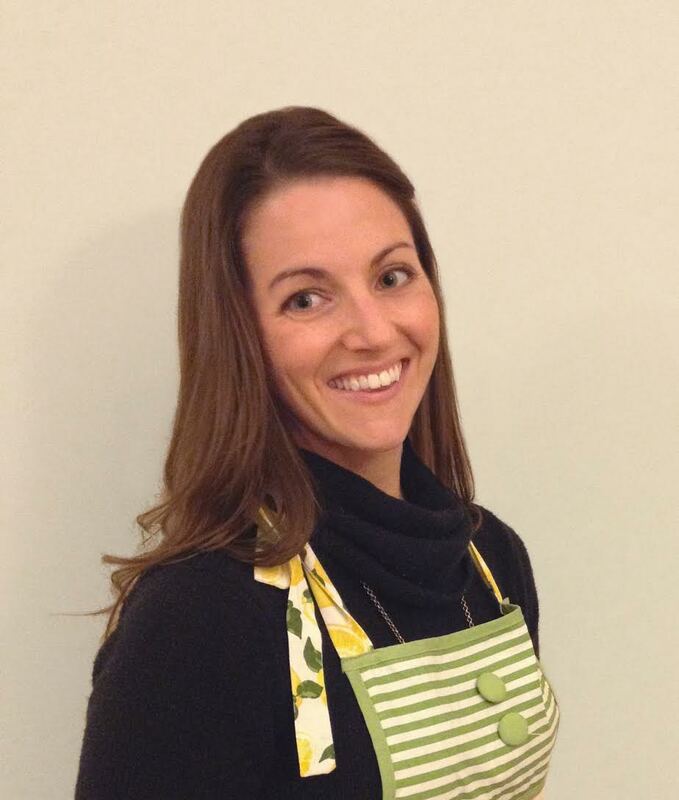 “Paleo inspiration” can be anything from your personal Paleo story, an image of your favorite recipe, a quote, a meme…anything that you have encountered on your Paleo journey that was meaningful to you. Check them out on our Giveaways page by clicking here. We can’t wait to see all your “Paleo Inspiration” entries posted on our Facebook Page wall and we look forward to finding out who the Winner will be! I love beets. This was actually a recent love for me, when I was younger I never had a desire to try them but now that I have I can’t get enough. I made apple chips a little while ago and I decided it would be a good time to try out beet chips as well. As a note: this recipe makes roughly enough to fill ½ a sandwich size, ziploc bag. Wash beets, peel and slice them to roughly ⅛” thickness, the thicker your slices the longer they will take to cook. Lay slices flat on baking sheet. Dust with salt to your liking, I found a light sprinkle worked well for me. Remove from oven and flip slices, dust with additional salt. Place back in the oven and bake for another 1 – 2 hours. Towards the end of your baking time you may want to periodically check your beets, ensuring you don’t burn them. These are great with a little dressing or vinaigrette for dipping. It’s one of those famous American treats that we just can’t live without. Unfortunately, traditional Apple Pie has more sugar than apples and more gluten than goodness, which is why Apple Pie was on my Paleo To Do List! This recipe is sweetened with natural dates and is 100% grain-free and dairy-free. Now there’s an Apple Pie you can indulge in! 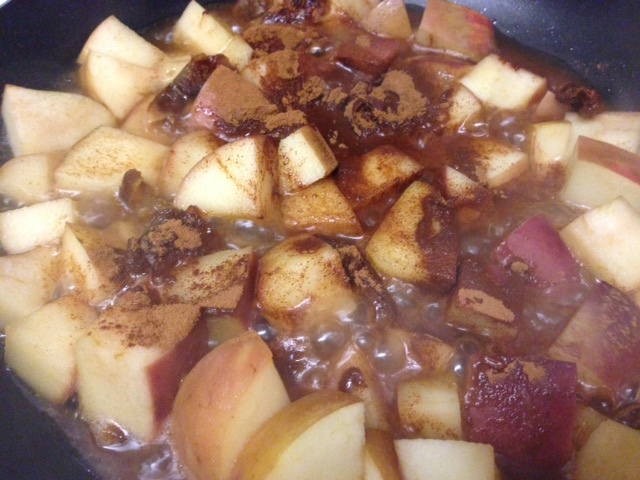 Place the apples, dates and water in a large sauté pan and set the temperature gauge to medium heat. Stir and let the apples soften. Once the water evaporates, add a cup of water and the cinnamon. Stir, then cover and let simmer for about 10 minutes. Pour the mixture into a baked Paleo Pie Crust, using the caramelized dates that tend to line the bottom of the pan to fill in the gaps between the apple pieces. Top with Paleo Pie Crust crumbles to “seal” the pie. 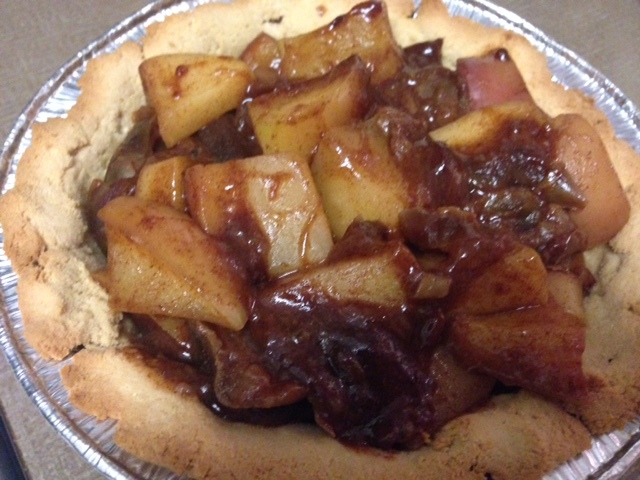 Remove from the oven and let the pie cool before slicing. Tip: Paleo Pie Crust is easier to crumble when chilled. Use un-baked Paleo Pie Crust mixture and refrigerate it for a few hours before crumbling over pies for the best finish. For two people that haven’t yet had kids, we weren’t too sure what to expect…plus when the book showed up in the mail, the men in our lives wondered if we were trying to tell them something! Thank you Tarah for the late April Fool’s joke!! 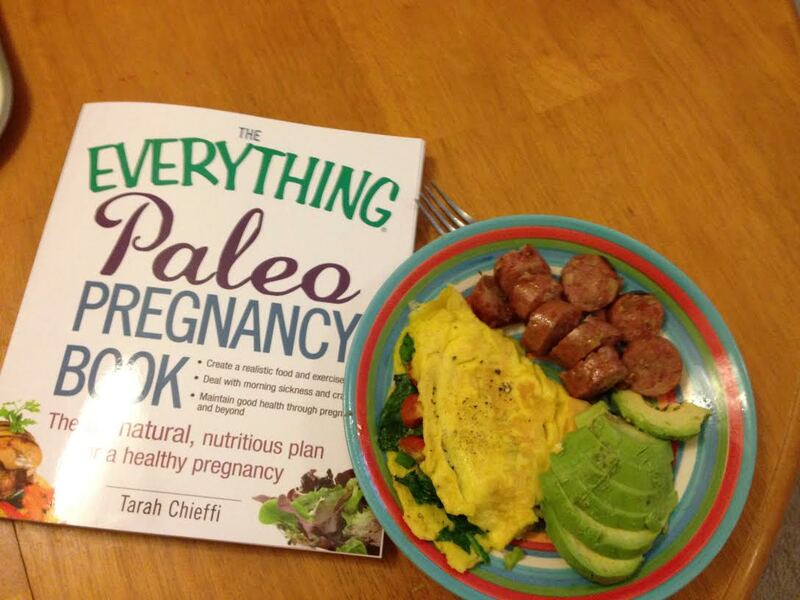 What struck us first was how well layed out THE EVERYTHING PALEO PREGNANCY BOOK is. 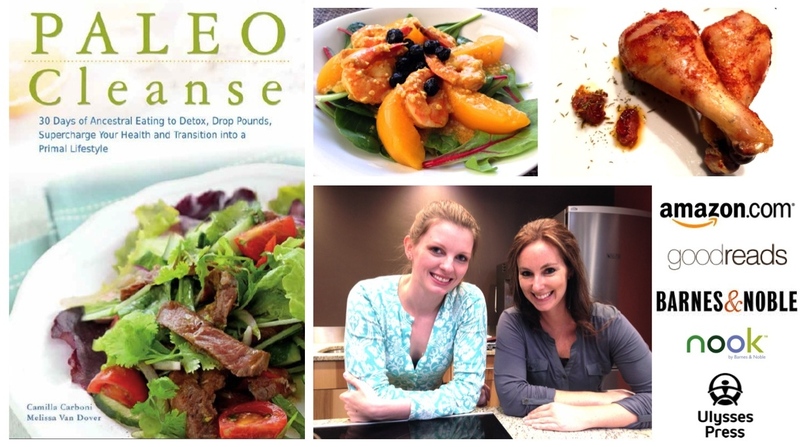 It’s very easy to read and structured to help readers new to Paleo easily navigate the diet. We can only imagine how beneficial this easy to follow structure must be for anyone expecting, or transitioning into a Paleo lifestyle post-pregnancy. What’s more, Tarah covers exactly what to expect during each trimester–trust us…we’ll be reading this book again one day when we actually are pregnant! One of the unique features of this book is it covers the common symptoms of pregnancy and then provides Paleo-friendly recommendations on how best to tackle them. Tarah also covers supplementary items, such as fitness and postpartum changes. Included in the book is an easy to follow 28-Day Meal Plan, which features a variety of extremely tasty recipes that anyone would enjoy, pregnant or not. 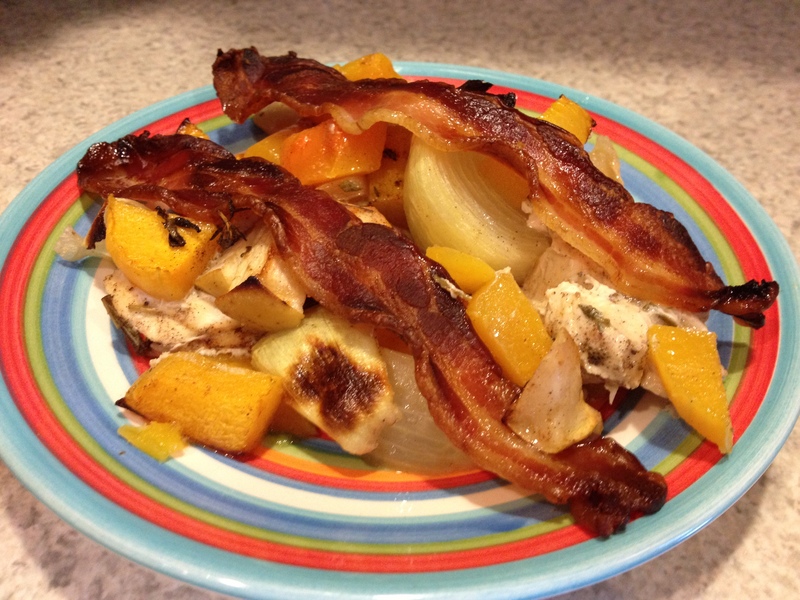 One of the favorites is the Farmers Market Chicken Bake. It’s topped with bacon (who wouldn’t like it!) and it’s definitely hardy enough food to feed both you and your baby. Heat oven to 450degrees F.
Coat a 13-inch x 9-inch glass baking dish with 1 teaspoon of coconut oil. Add chicken, apple, onion and squash to baking dish. Toss with remaining coconut oil and spices until everything is evenly coated. Lay bacon slices evenly across the top of the dish. Bake for 50 to 55 minutes until bacon is crispy, chicken is cooked through and vegetables are beginning to brown. Last but not least, the back of the book contains very useful advice for pregnancy-friendly Paleo food substitutions and other pregnancy-must knows. It’s no surprise that THE EVERYTHING PALEO PREGNANCY BOOK is a top hit on Amazon and we highly recommend it!